Since I first met Angeelika Kang, all of the places designed by her are my favourites. She has a great sense of style, taste, and humor, too. Her latest baby Levier in Telliskivi I believe is my favourite. 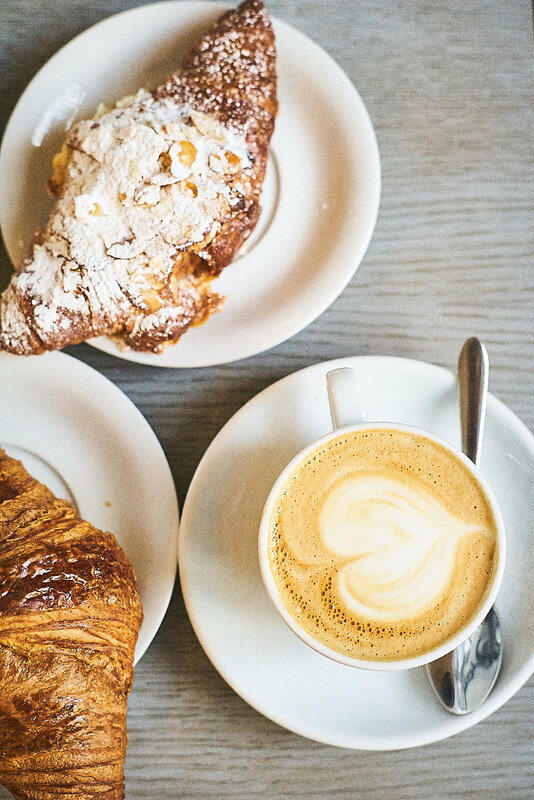 Hidden in the first floor of an apartment building on the small Vana-Kalamaja Street with it's big and tastefully decorated windows, it's a must if you want a good coffee, macarons, lots of cakes, and cinnamon or cardamom buns. It is a place to sit and enjoy the moment, preferably with some magazine or a book in hand. 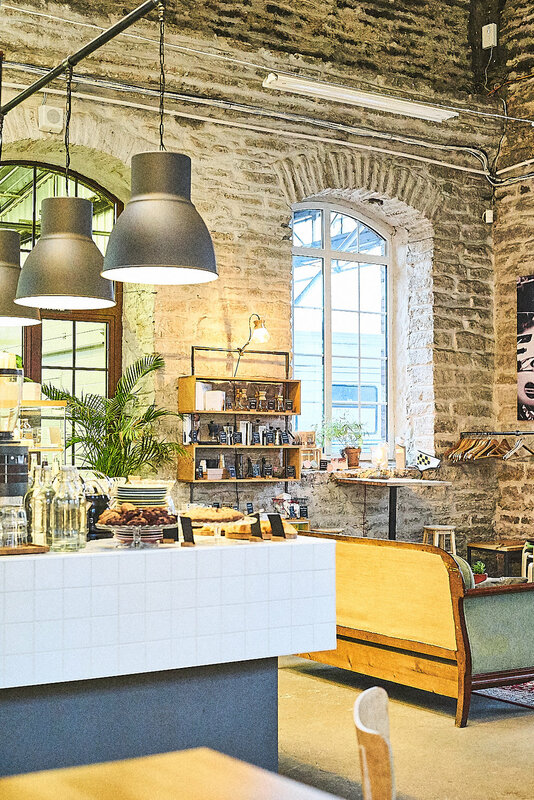 Situated in Tellaskivi Creative City, Renard coffee shop is not just a coffee shop. 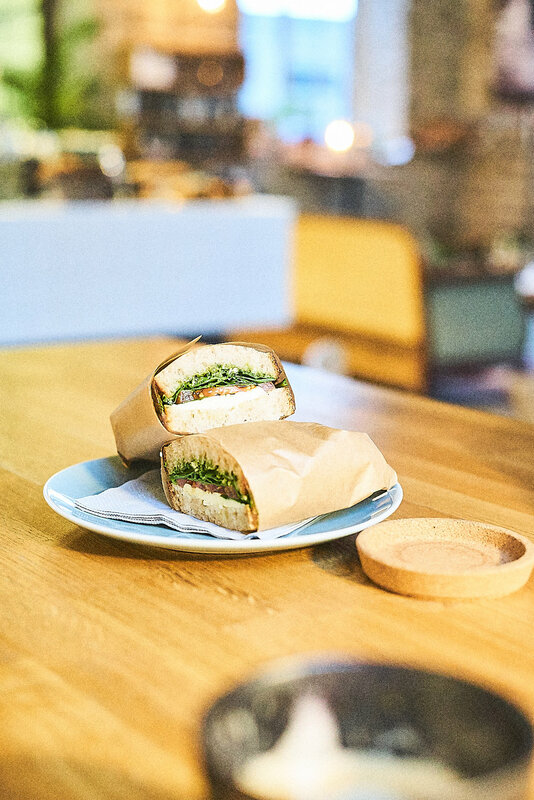 Upstairs you will find a cool barber shop, downstairs – a stylish hipster motor cycle shop and, of course, coffee shop that serves the moistest peanut butter cookies, great sourdough sandwiches, chia pudding, cakes, scones and other tasty bits. And yes, they are famous for their coffee. And it's good. Rost, Tallinn's newborn baby, is a one of my top places to go (since December), and there is more than just one reason. The interior, yes, interior and their open kitchen and white tiles reminds me of Denmark or Stockholm. Then the coffee (they use one of the famous Berliners - The Barn) and THE, ladies and gentleman, THE cardamom and cinnamon buns. Let's just say – I am happy we don't have Rost in Riga, otherwise my running shoes would actually have to start running.